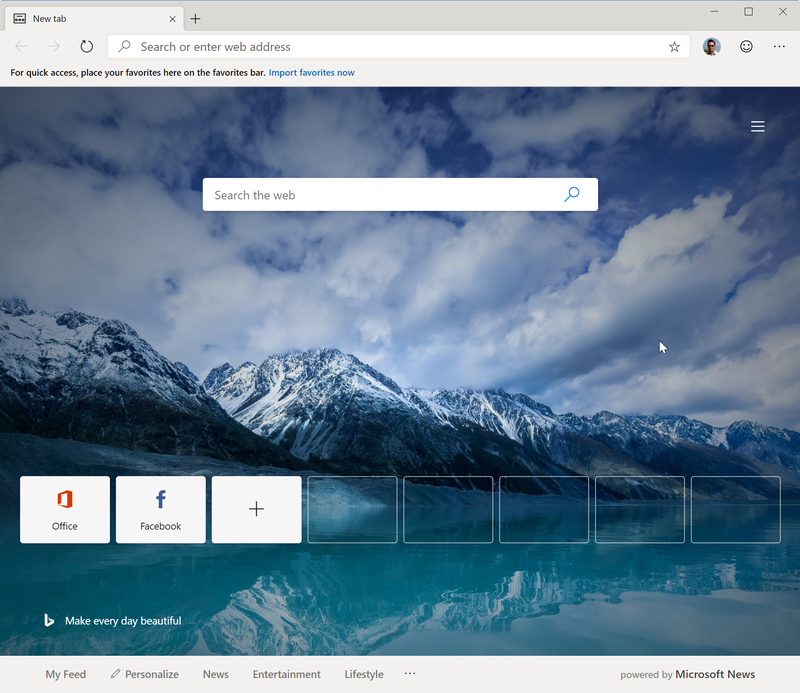 Four months ago, Microsoft announced that it planned to switch to the open source Chromium for its Edge browser, and two weeks ago we got a sneak glimpse at it. Today, the software giant unveils official previews for the Chromium-based Edge browser, and you can download Dev and Canary builds of it now. Inevitably, there are some restrictions to be aware of. Although the new browser will run perfectly on Windows 7, the preview builds are currently only available for Windows 10. The new Microsoft Edge builds are available through preview channels that we call "Microsoft Edge Insider Channels." 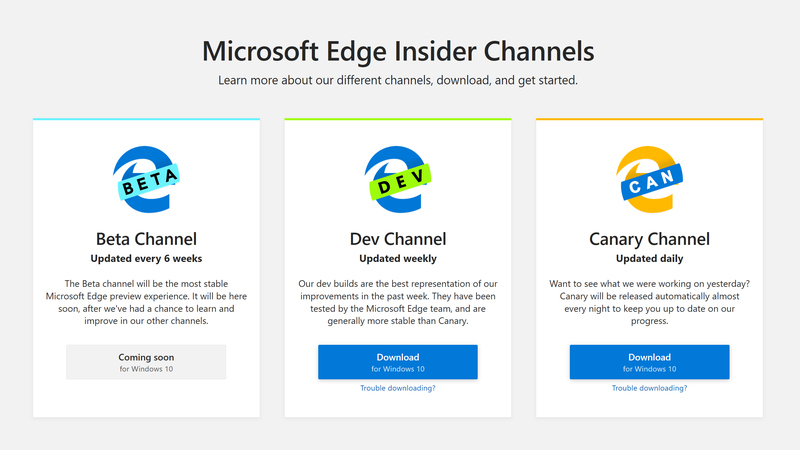 We are starting by launching the first two Microsoft Edge Insider Channels, Canary and Dev, which you can download and try at the Microsoft Edge Insider site. These channels are available starting today on all supported versions of Windows 10, with more platforms coming soon. The Canary channel will be updated daily, while the Dev channel will be updated weekly. You can install both at the same time if you wish though, so you can try them side-by-side. Go here to choose which early version of the browser you require, or download it from here. Windows 7, Windows 8.1, macOS, and other channels, like Beta and Stable, are in development and will arrive in due course. There’s no word on when, or indeed if, the browser will put in an appearance on Linux.